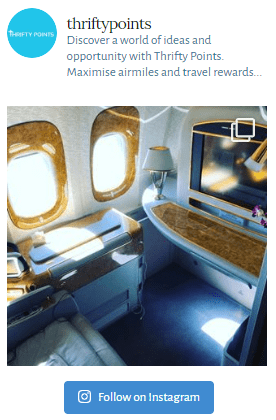 PriceYak Review – Should you sign up? Having run a successful Amazon to eBay dropshipping business for sometime now, I’ve tested a wide variety of software platforms. This is not only to make sure I’m getting best value for money but to also ensure I’ve always got a competitive advantage over competition. Within this post I’ll be reviewing the ins and outs of the PriceYak platform. If you follow my blog you may well know I currently use Profit Scraper (7 day free trial available using this link) to run my operations however a number of readers have asked for my thoughts on the PriceYak software. 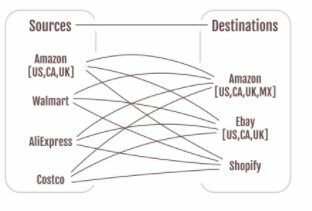 Unlike Profit Scraper, PriceYak handles integration from 4 source markets and can list them on three destination markets. What do I mean by this? Take a look at the handy diagram below. You’ll see above that PriceYak can source items from Amazon, Walmart, AliExpress and Costco. It’s then capable of listing these items on either Amazon, eBay or Shopify. For this review I’m going to be focusing purely on sourcing items on Amazon and selling on eBay (destination). As mentioned earlier, I use Profit Scraper for this purpose (read why here) however I’d add that I do use PriceYak for one of my other businesses where I drop ship items from Amazon to Shopify. PriceYak is available for the US, UK and Canadian Amazon / eBay market places. When you sign up for a PriceYak account you are asked to link your eBay shop to allow for full integration across the two platforms. Unlike Profit Scraper, PriceYak doesn’t offer the possibility to run a screening process on Amazon products to identify which are selling for a significant mark up on eBay. As such, you’ll need to manually find these (usually by looking at a competitors items which are selling well) and upload the ASIN numbers from Amazon to PriceYak. This can be quite time consuming when you’re trying to handle large quantities of items and rotating these products to ensure you’re maintaining that competitive advantage. Once you’ve tracked down your first 100 ASINs the following step is relatively simple. You’ll need to insert the ASINs into the PriceYak create listing tab and run the software. The program will automatically upload these items to your eBay and initially price the product at $300 or £300 depending on the destination. 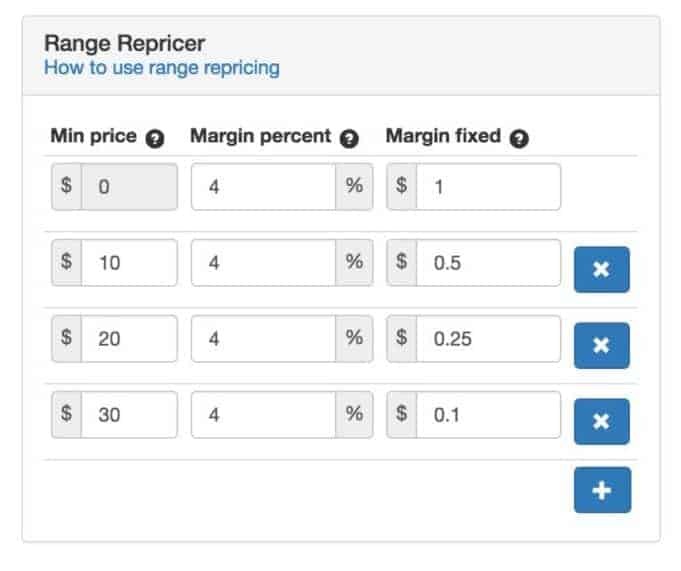 Once you’ve uploaded your items to PriceYak and subsequently eBay, you can adjust the sourcing settings to determine the minimum guaranteed profit levels per item and also percentage profit margains. By default, pricing and availability is updated every two hours with profit margins of 10% set after eBay and PayPal fees. PriceYak accounts for a 10% eBay final value fee. PriceYak accounts for a 2.9% + 0.30 PayPal fee. PriceYak includes the Auto Ordering $0.40 fee. PriceYak also has an integrated stock monitoring process which will remove items from your eBay store should they go out of stock on Amazon. Similar to a number of other platforms on the market PriceYak offers automatic ordering. Orders are placed within 10 minutes of the item being purchased on eBay and if for some reason the Amazon price is more than the eBay order, the software will refuse the item. Once successfully shipped the items are listed as sent on eBay. Automatic Ordering costs $0.40 per successful order, in addition to the repricing service fee. Placing orders manually using PriceYak is somewhat tricky in comparison to other software providers. Addresses must be manually inserted to Amazon and product links are slightly more difficult to navigate yourself to. This all takes time resulting in the automatic ordering feature becoming a necessity when using PriceYak which you may want to factor into your pricing assessment. See more on this below. Something I hadn’t appreciated when I set out down the Amazon to eBay drop shipping path was the sheer number of items I’d be sending out through Amazon Prime. Deleting addresses can be time consuming and as such there’s an inbuilt application which will automatically remove postal addresses from Amazon. As always it’s important to consider the software’s pricing and in this example I’ve compared it with both Pricematik and Profit Scraper to give you an idea of how PriceYak stacks up against its closest competitors. While PriceYak may look like the cheapest option initially, if analysed on a price per item basis it’s nearly twice the cost of Pricematik and 50% more expensive than Profit Scraper. In addition, the software doesn’t offer the options to identify items on Amazon which are selling well on eBay or allow for Amazon address entry. Both of which will take a considerable amount of time to do manually. I’d recommend reading why I’ve recently considered switching to Pricematik. In short, Pricematik offers the most cost effective price when listing over 3,000 items. To compare the costs with PriceYak above, if I was to list 25,000 items using Pricematik it would cost just $0.02 per item verses $0.10 for PriceYak. A considerable saving when you are listing soo many items I’m sure you’ll agree. Unlike it’s competitors PriceYak offers a number of source and destination markets. If your purpose is to purely undertake Amazon to eBay arbitrage, the software is lacking a couple of key components which will help to automate your business and save you considerable amounts of time going forwards. Pricematik – Why I’m thinking of switching from Profit Scraper?